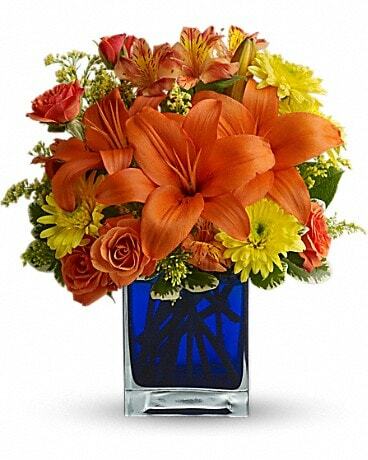 Designer's Florist by Sekan has been serving Fort Scott, Pittsburg, Pleasanton, and Mound City KS, and Nevada, MO for 35 years. Located in Fort Scott, Kansas right on Highway 69, the shop resides in the front portion of a much larger facility mostly occupied by the parent company Sekan Printing Inc. One Christmas, owner Lonnie Banwart decided to make corsages for his wife and mother for the company Christmas party. They were made with the then popular wood-fiber roses. Of course, they were a hit, so much so that Lonnie used them as decoration near the wedding invitation section of the printing company office. After coming back from a small vacation, they were amazed to find that they had their very first wedding order! And thus, Sekan Occasion Shops was born - the name Designer's Florist by Sekan did not actually come into being until just a few years ago. So, what began in the front office of the printing company has now grown to a full service florist! 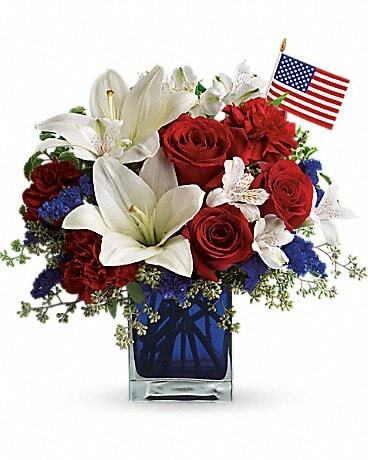 Designer's Florist now offers fresh floral arrangements, silk florals, wedding planning, wedding and attendant dress rentals, tuxedo rentals, wedding invitations, funeral arrangements, custom upholstery, furniture, interior design services, collegiate baby wear and more. As the years have gone by their reputation for excellence has grown stronger and stronger. 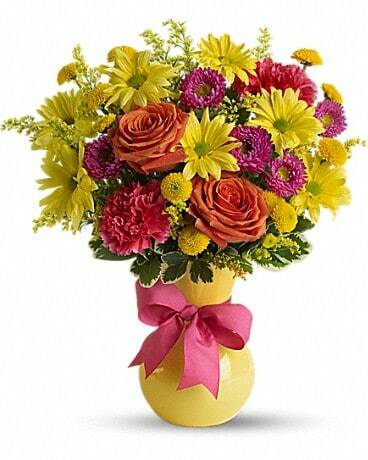 Designer's Florist by Sekan has been a member of Teleflora for over 15 years. *Our shop is open from 8:00 a.m. to 6:00 p.m., Monday through Friday (Thursdays until 8:00 p.m.). 8:00 a.m. to 5:00 p.m. on Saturdays. We are closed on Sundays. Our shop will always be closed on the following holidays: Thanksgiving Day, Christmas Day, New Year’s Day, Easter, Mother’s Day, Father’s Day, Independence Day and Labor Day. Lonnie and Deb have been with Designer's Florist by Sekan from the beginning. They are actually part-owners of Sekan Printing Inc, which is the mother company of Designer's Florist by Sekan. Lonnie manages the inventory for the store and takes care of the wedding and party goods departments for the stores. Lonnie also takes care of the scheduling of all deliveries for holidays and oftentimes takes many of the deliveries himself. Deb has been the key designer over the years and does most of the floral work throughout the day as well as co-designs with Russ Gordon on the many weddings that come into the store. Russ Gordon has been part of the Designer's Florist by Sekan team since 1985. Russ has a B.S. in Art from The College of the Ozarks in Branson, Missouri area. Russ came to Sekan part-time evenings after his long day as an art teacher in the Fort Scott public school system. 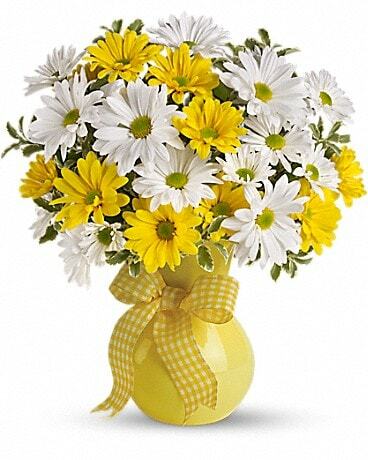 He was instrumental in the rapid growth of the floral and wedding portion of the business. Eventually, he also came to work full-time during the summers. This was due to the huge increase in wedding business during these months. Russ is known for his artistic flair whether it be for the many weddings, birthdays or other occasions celebrated in the area. Our shop serves the following areas: Prescott KS, Pittsburg KS, Arma KS, Frontenac KS, Nevada MO, Uniontown KS, Fulton KS, Fort Scott KS, Arcadia KS, Deerfield MO, Mound City KS, Pleasanton KS, LaCygne KS, and Hume MO. Areas served include the following zip codes: 64741, 64752, 64772, 66040, 66056, 66075, 66701, 66711, 66712, 66715, 66716, 66735, 66738, 66741, 66747, 66754, 66756, 66762, 66763, 66767, 66769, 66779. If you have any questions or need more information, please contact us by e-mail at sekanocc@sekan.com or call us directly at (800)243-6411. We're always here to serve you and make your flower-sending experience a pleasure.